Mondus offers a large selection of unique garden statues, lawn ornaments and garden accessories. 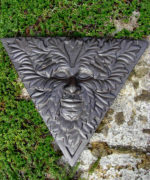 We search the world to bring you a superb collection of garden art and garden decor. From garden gargoyles to angels, these statues reflect the quality you would expect in a lawn or garden. Explore our selection of metal birds, sundials, armillaries, small animal statues, garden gnomes, stepping stones, etc. Some of our lawn ornaments are hand made in Canada to the highest quality by national and local artists. They are one of a kind and memorable gift ideas for your friends, family or someone special in your life. They make great gardening gifts for any occasions but you will want to pick up one for your own garden too. All our Garden Statues and Lawn Ornaments are organized by categories. Clicking below on a category image gives you a list of all the products for this specific category.